Posted on March 21, 2019 by Atlas Chiropractic, P.C. If you’re struggling with fatigue, brain fog, digestive troubles or anxiety, and you suspect foul play from a toxic level of heavy metals trapped in your cells, it may be time to take steps to lower your exposure to heavy metals with some level of heavy metal detox. If you suspect heavy metal toxicity, consider being tested for metals by your health care professional to gain clarity around your body’s heavy metal load. Given that almost everyone has some level of heavy metals accumulating in our bodies from the food, water, environment and products we use, taking steps to lower your individual level is beneficial. Lowering your heavy metal load supports the body’s systems and cellular functionality. Making daily steps and changes that support natural detoxification pathways often results in higher energy levels, better sleep, smoother digestion, weight loss, clearer skin and lower levels of inflammation in the body overall. Thanks to a reduction in the level of free radicals, your gut health may improve, supporting a stronger immune system. Your mental abilities will likely sharpen, and you may find it easier to pay attention, learn and retain information. The more quickly or aggressively you jump into a detox plan, the more likely you are to experience significant side effects which can include nausea, headaches, diarrhea and even a metallic, sour taste in the mouth. To support your body through the process, it’s best to detox slowly and gradually. More aggressive tactics that involve chelation therapy or specific supplements should be conducted under your doctor’s guidance. There’s no doubt that what you put in your mouth matters, but what you don’t put in your mouth matters, too. When you’re ready to lower your exposure to heavy metals, avoid most processed foods. Your body will need extra hydration to flush out the toxins you release, so skip caffeinated beverages like coffee and tea, and steer clear of sugar-heavy sodas and store-bought juices. Instead, aim to consume eight ounces of water or vegetable juice every two hours. In terms of what you should put on your plate, there are plenty of detox-friendly foods. Given that pesticides can contribute to heavy meal toxicity, choose organically grown foods whenever possible. With their anti-inflammatory and antioxidant properties, leafy greens like kale, swiss chard, spinach, parsley, cilantro and beet greens are top choices. Herbs and spices including basil, oregano, thyme, turmeric and ginger are excellent for the same reason. And foods high in vitamin C―citrus fruits, berries, cruciferous veggies and bell peppers―can help heal the damage caused by heavy metals. 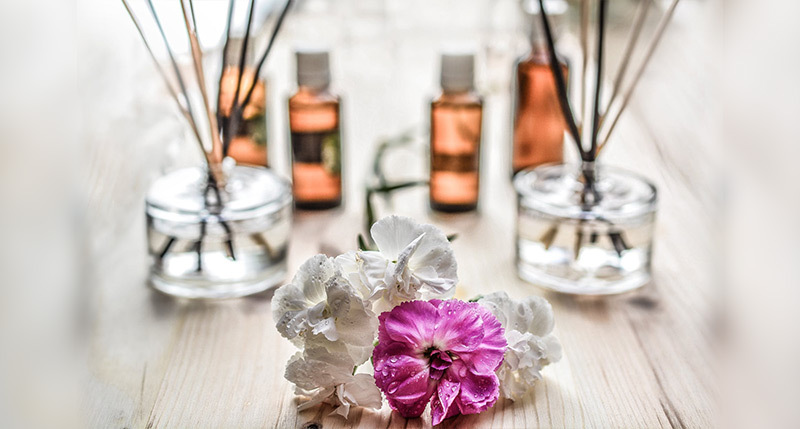 Replace toxic air fresheners with essential oil diffusers. Swap out toxic personal care products—makeup, soap, deodorant, lotions—with items made from organic ingredients that are heavy metal-free. Buy a trio of wool dryer balls, an easy and cost-effective swap for chemically scented dryer sheets. In addition, Dr. Bronner’s line of soaps can be used for just about every household need from laundry detergent to toothpaste. Filling your space with safer, cleaner, eco-friendly products is a strong step toward supporting good health. While eating the right foods will encourage your body to let go of heavy metals, you still have to flush out those accumulated toxins. Regular exercise is an excellent way to sweat them out while also offering the added benefit of reducing overall body fat—this is especially beneficial, because many heavy metals are stored in fat cells. And speaking of sweating, you can enjoy the same detoxing benefits with an infrared sauna, as long as it’s hot enough to make you sweat profusely. Whether you opt for the sauna approach or the gym to help you sweat toxins out, be sure to shower immediately afterward so toxins aren’t reabsorbed through your skin. Though we may not be able to see heavy metals nor avoid them in some circumstances, your body will thank you for taking steps to reduce your heavy metal load and restore homeostasis.